When it comes to opportunities for sharing the gospel, God can do the impossible. He can open doors that we never knew existed. 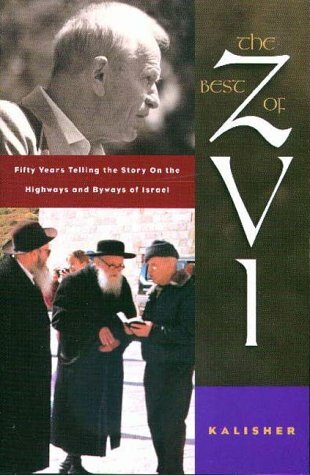 That's what this new book, The Best of Zvi, is all about -- it's a collection of fascinating stories that vividly portray God's ability to reach people in the most unexpected ways.In 1948, Zvi arrived in Israel, an 18-year-old survivor of the Holocaust. Little did he know that his search for a new beginning to life in Israel would take a dramatic turn, introducing him to the Messiah as his personal Savior. Since then, Zvi has had countless spiritual encounters with his fellow Jewish people, as well as with his Arab neighbors and many others whom the Lord has brought across his path. His stories have become a longtime favorite among readers of Israel My Glory magazine.The Best of Zvi will leave you greatly inspired and encouraged as you see God's infinite love, wisdom, and power in action!